As IT organizations shift a great deal of their infrastructure to the cloud, a question that we are often hearing is focused on cloud directory services. Specifically, IT organizations are wondering if AWS® Cloud Directory vs. OpenLDAP™ is the right way to think about a cloud directory. Unfortunately, it is easy to be confused about these two solutions. Both solutions are directories, but in very different respects. So, let’s take a closer look at AWS® Cloud Directory vs. OpenLDAP and their different approaches to directory services. Then, we’ll decide if either of them offers a good example of what a cloud directory service should look like. What Kind of Directory is AWS Cloud Directory? AWS Cloud Directory is really a solution that catalogs objects into a database to create hierarchical relationships. Then, an organization can build something like an organizational chart, a course catalog, or device registry on top of said directory. 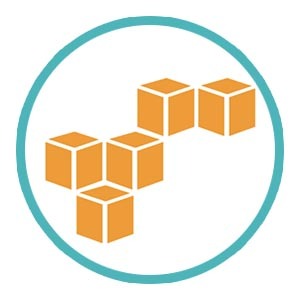 As AWS puts it, “[AWS Cloud Directory is] not a directory service for IT Administrators who want to manage or migrate their directory infrastructure” (AWS). In other words, AWS Cloud Directory doesn’t manage user authentication and authorization to IT resources, which is what many IT admins are looking for in a cloud directory service. Clearly, AWS Cloud Directory is not going to cut it for IT admins who are looking to move their identity management to the cloud. So, many have become interested in taking known directory services and shifting them to the cloud, one of which is OpenLDAP. Could IT Admins Use a Cloud OpenLDAP Instead? As most know, OpenLDAP is a traditional directory service that authenticates user access to LDAP-based systems and applications. While OpenLDAP can be placed in the cloud, it isn’t a cloud solution by default, so there’s a lot of work involved in shifting OpenLDAP to the cloud. Additionally, IT admins still end up being responsible for the security, the availability, and maintenance of a cloud OpenLDAP setup, and they will continue to experience challenges with integrating non-LDAP based resources. For those organizations that are interested in shifting their directory services to the cloud, there is an alternate solution called JumpCloud® Directory-as-a-Service® that can deliver cloud LDAP services and more. 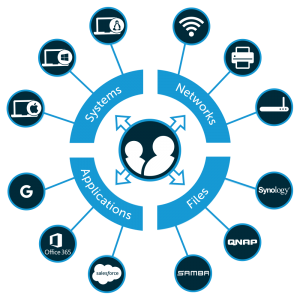 Essentially, this cloud directory is securely managing and connecting user identities to the IT resources they need, including systems (Mac®, Linux®, and Windows®), LDAP– and SAML-based applications, physical and virtual file storage, and wired and WiFi networks. This cloud directory is an authentication, authorization, and management platform for virtually all of your IT resources, regardless of platform, protocol, provider, and location. 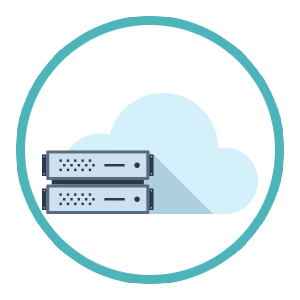 Plus, JumpCloud takes care of the availability, security, and configuration of the cloud directory service, so IT admins can spend more time on tasks that further the company’s business goals. Interested in garnering more information about AWS Cloud Directory vs OpenLDAP? Drop us a note! We’d be happy to explain why a cloud-based directory service is better suited for the modern era. You can also check out our YouTube page for in-depth explanations of the various functionalities of our platform. Ready to try it out? Consider signing up for a free account. Your first ten users are free forever.